Kelowna is a beautiful city located on the shorelines of the Okanagan Lake in between the Okanagan Valley. This place is a great destination which offers various recreational activities and picturesque sightseeing. The warm water of the lakes hounds for boating, swimming, kayaking and wakeboarding. This place is also famous for its fertile agricultural lands which produce fruits and vegetables. Wineries are the major attraction of this place which also offer free tasting varieties of wines. If considered for a honeymoon, this place sounds interesting and adventurous which could help you to make your honeymoon the most romantic. Kelowna International Airport is the only airport which serves this place. There are daily services offered by this airport to major cities of Vancouver, Prince George, Calgary and Seattle. Big White Resort is the famous skiing resort situated in Kelowna. The couples can visit this resort and have pleasure of various ice games. They can enjoy skiing and snowboarding and have lots of fun. 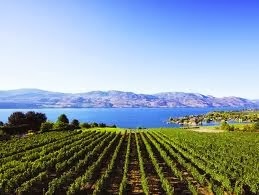 This winery located at the first log cabin offers magnificent views of Lake Okanagan and the lush vineyards. This place also offers a place where you can relax with your partner and taste some relishing wine with fine cuisine. You can also go exploring the wild life of this area. The major attraction of this farm is the kangaroos. Holding the hands of your partner and viewing the habitat of the kangaroos would be most exciting. 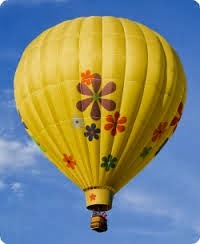 Experience the amazing views of the valley from a hot air balloon. You can book tickets for such an exciting ride and enjoy the view of snow covered mountains, falling leaves and the glittering water of the lake in the sun. The honeymoon couples can find some of the best romantic stays in this city. They can even have some delicious wine and tasty food at the eateries. Some of the best stays in Kelowna comprises of the Mission Park Inn, Royal Anne Hotel, Manteo Resort and the Dilworth Inn. Some of the best eating places include Soul de Cuba Café, Waterfront Wines Restaurant & Winebar, Bohemian Bagel Cafe and Ric's Grill. Read this article before planning for your honeymoon trip. 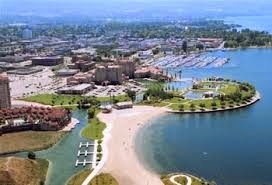 It could of great help to you in selecting Kelowna as your ultimate dream destination, where you can have a romantic honeymoon with lots of excitement.